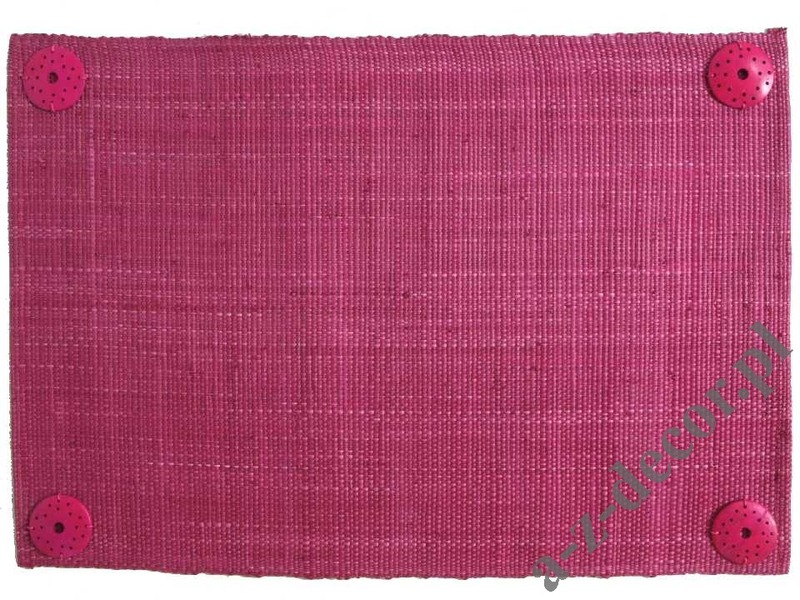 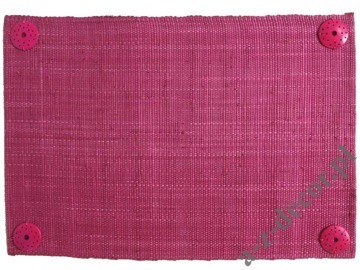 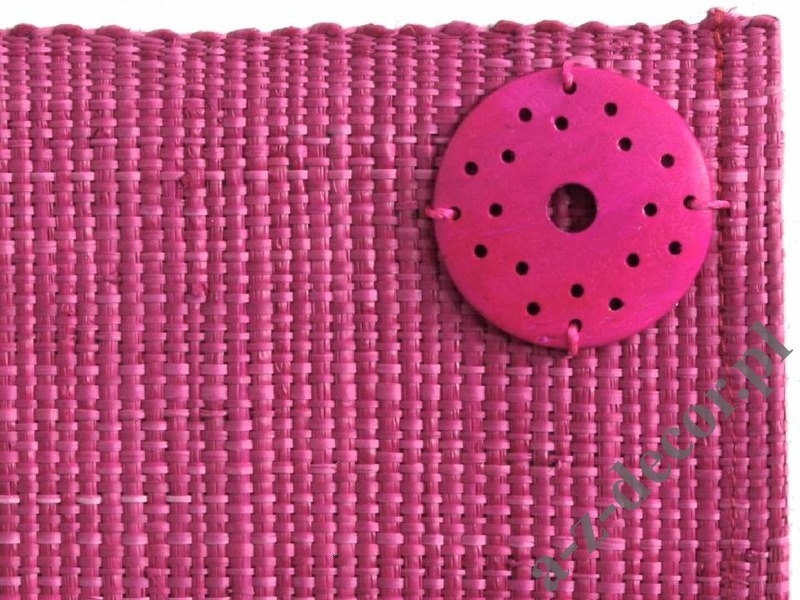 Table placemat made of raffia, dyed in fuchsia. Decorated with round coconut wood elements. 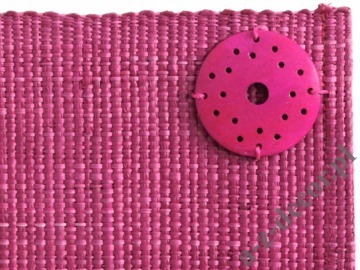 These pads are recommended for use both at home and during barbecue party in the garden. 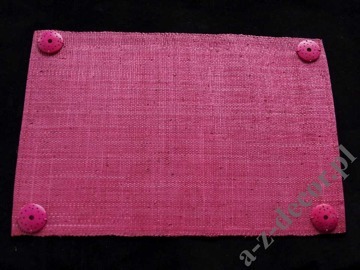 Dimensions 33x48 cm.